Welcome to our office! 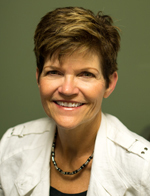 I am Dr. Wilcox’ wife and have worked in our office in one capacity or another since the very beginning. My job is to take care of the insurance and fill in as needed at the front desk. It’s been a pleasure to work in a profession that I love and to have had the opportunity to meet so many wonderful people who choose to come in, year after year, entrusting us with their spinal health. Beyond work, I enjoy spending time with my family and friends, being with my grandkids, volunteering, watching cooking shows, and relaxing at our cottage. Hi, my name is Joan and I have worked at WFC for the last 15 years. I would have to say that the highlight of my job is getting to meet and know so many wonderful people through the years! Outside of work, I enjoy spending time with my three sons and their families, going to all the varied activities that my seven grandchildren are involved in. Whether it is music or sports, I love it all. Following U of M football with family and patients brings a smile to my face as well! Angela, is new to Grand Rapids. She recently relocated from the Central Michigan area to be near family and take advantage of all GR has to offer. 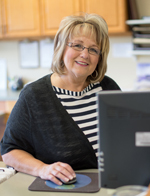 Before working for Wilcox Chiropractic, she was a professional cake decorator for 8+ years. She even traveled to France to study their culture and passion for sweets. Now that she is in Grand Rapids, she is studying other career avenues and enjoying city life. She is so grateful for the opportunity to work for the Wilcox’s and looks forward to being part of a team that truly makes a difference. 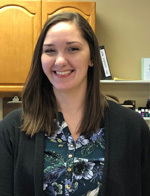 Julie has worked at Wilcox Chiropractic since July 2018. 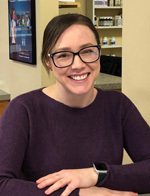 Her favorite parts of working here involve watching the health transformations of new patients, as well as, catching up with maintenance patients. In her spare time, Julie enjoys spending time with her husband and daughter. She also enjoys sewing, reading, going on walks with her daughter, and getting outside to enjoy whatever weather Michigan throws our way.